If you have questions about our local housing market or are thinking about buying or selling, I can help! 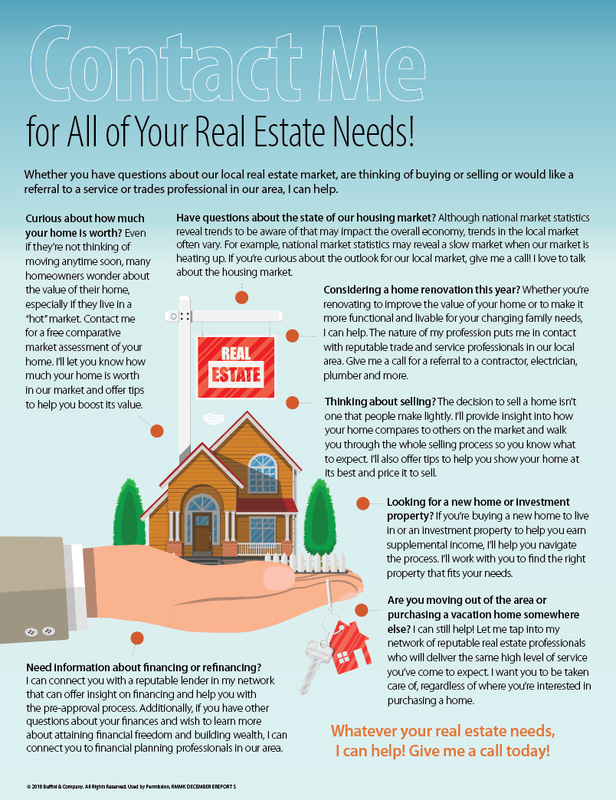 Below is a list of all the things I can help you with, whether it’s answering your questions, helping you navigate the buying and selling process and connecting you with great professionals in my network. Just get in touch and I’m happy to help!